Since 1975, Air Control Products has been providing quality products and services to the HVAC and Industrial marketplace. During our growth, we have also added services to the Architectural industry. Our commitment to our partners is reflected through our knowledgeable sales people and our professional office and warehouse staff. Air Control Products is a pro-active company that realizes, to attract and maintain quality manufacturers, it must be the best in offering the finest sales staff and marketing concepts to our large geographical area. We also realize that the manufacturers we represent offer us the opportunity to generate a livelihood, and our customers enable us the opportunity to maintain and grow this livelihood and our business. We are forever grateful to both customer and manufacturer. Watching Air Control Products grow and mature from its inception in 1975 has been a great experience. The vision of my father, Bob Greene, has always guided our way. As the current President of Air Control Products, I direct our company toward growth, while maintaining our position as the leader in our marketplace. We continually focus on providing efficient and economical solutions for our partners doing business with us. We take great pride in delivering on time and strive to exceed your expectations. Thank you for visiting our website and we look forward to working with you. Bob Greene & Randy Heminger formed a company called Air Control Products. We accompanied some other 1975 start-ups known as Microsoft and Apple! The country was in a recession and it might not have been the best year to start a company, but in our eyes, it was the only year to start! We rented an old house on the outskirts of Strongsville. Randy was going to call on the Cleveland Engineers and half of the Cleveland Contractors, Bob Greene had the rest. We started with agreements from our main manufacturer which was Krueger, a short time later American Warming and Ammerman fans were added. By the end of 1975 we hired Paul Johnson as the first Industrial Salesman. Fritz Dewitt was added to the sales team expanding our coverage in our territory of Northeast Ohio. We started a warehouse stocking program in 1976. We had the total support of Leo Krueger who gave us racking rollers for unloading trucks and great pricing to encourage contractors to buy stock. We would stock inventory in a barn in Medina, Ohio; we were the first in the country to have such a program. We used our station wagons to make our deliveries. We were then required to do our own invoicing and subsequent collections because we stocked inventory. Prior to stocking inventory we were mainly a commission company, but that changed by 1980. In 1978 Bob Greene bought Randy Heminger’s stock to become the sole owner of Air Control Products. In 1978 we out grew the house, due to zoning regulations and moved to North Royalton. We were able to secure 4 offices and a garage for our stock. We still used the Medina barn for overstock. Also, we had an agreement with Acme Engineering & Fan Company from Oklahoma. Having air distribution and a fan line worked out well. We had grown out of our North Royalton offices and in 1982. After a meeting with Leo Krueger, his very good friend Bernie Greenheck called us and said he was flying to Cleveland the following week to meet with us. When Bernie landed in Cleveland, the first thing he asked was for us to drive him past the original offices of the Loren Cook Fan Company. We then took Bernie to the job site of our new 10,000 square foot building in Broadview Heights. He was quite impressed and stated that he wanted Reps that quote, “put their asses on the line” and that we would be his Greenhack Reps. The new building gave us 9 office areas plus a conference room. At the end of 1982, Randy Heminger left the company. In late 1982, Greenheck asked if we would take on the Northwest Ohio area, mainly Toldeo. This was accomplished by finding a local person to run it which was Tim Toffler, he started in early 1983. In the summer of 1987, we were asked by Flexmaster to start a Columbus office, this was done with the help of Krueger Manufacturing. By 1990, we had Northeast Ohio, Northwest Ohio and Central Ohio. All within 2 hours from our headquarters in Broadview Heights. By 1990 our stocking program became a major part of our business and we expanded the Broadview Heights offices by an additional 10,000 square feet for additional inventory. By this time we were operating with 12 people in Cleveland, 2 in Toledo and 4 in Columbus. In 1996 we started the Architectural Division in Cleveland headed up by Richard Carroll. Our lines were Modernfold, Skyfold and Smoke Guard. This division was in all three territories. Mike Greene was made Vice President in 1996. By 1998 we were out growing our offices by adding additional sales, accounting and warehouse staff. At that time we began designing and building our present offices and warehouse at 3800 Towpath Road, Broadview Heights. We designed a 2nd floor as we were planning for future growth. We moved into the 38,000 square foot building on Towpath Road in 2000, it was then and even more so now, “State of the Art” and it of course is our “World Headquarters”. In 2001 we were contacted by Price Industries. We went to Atlanta to meet with Chuck Farley and Gerry Price and after long discussions we agreed to change from Krueger to Price in all of our offices. This was a very difficult decision because we had been with Krueger since our inception in 1975, but Price Industries was our future. In 2002 we purchased our Columbus building, it gave us a total of 20,000 square feet for offices and warehouses. In 2004 we purchased our Toledo Building totaling 10,000 square feet for offices and a warehouse. In 2005 we transferred stock ownership to Mike Greene through a structured buy out. Mike Greene was breed, born and raised to be Air Control Products. There were many people that have made Air Control Products successful. We’d like to thank all of them for their dedication. Jeff Neeley, Bob Scherry, Richard Carroll, Bob McAllister, Fritz Dewitt, Dave Barnes, Alex O, Bill Nicholay, Bill Otis, Nowell Ritter, Tim Toffler, Tom Phillips and Penny Smithson. In 2014, we acquired Air Systems Diversified, Inc. At the time, ASD had served the central Ohio area for over thirty years, so we are thrilled to have them on board with us. 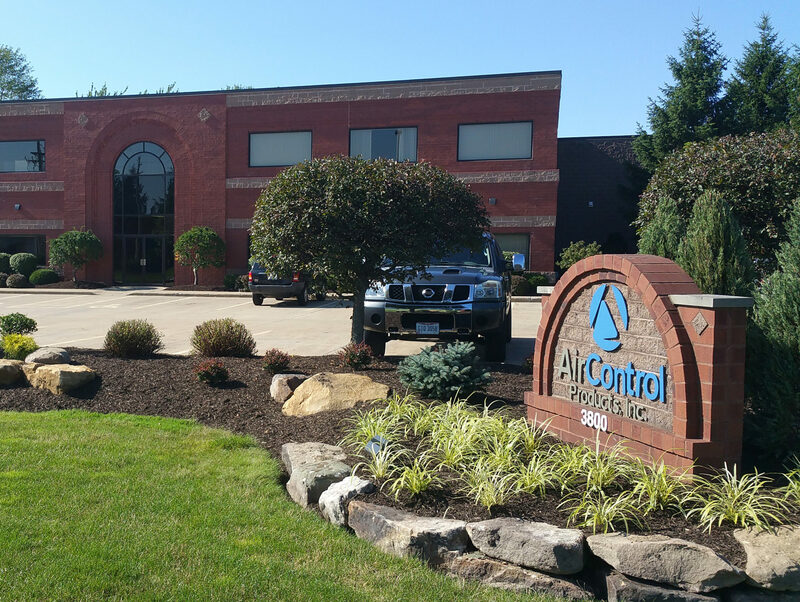 In 2015 Air Control Products celebrates 40 Years in business. We would like to thank everyone from our customers, hard working employees and manufacturers who have been apart of our successes through the first 40 years. We look forward to the future. We expanded our customer support team to better serve our customers and provide them with continuously improving service. State of the Union with a guest speaker. Robert (Bob) Dubs held the position of Engineer Sales at Air Control Products for 35 years. His retirement in 2017 was celebrated and well-deserved. ACP Innovation Expo – Largest Expo Yet! ACP welcomed all engineers, general contractors, mechanical and sheet metal contractors on October 4th-5th to our ACP Cleveland office to see the latest innovations and new technologies our leading HVAC manufacturers had to offer. This was our largest expo to date and we look forward to the next.